Pär Wedin at Nynas proposes a shift from one point to another one, from aniline point to turbidity point. Now, standardisation bodies SIS and ISO are mulling over his proposal. The Aniline point is widely used in industry as a measure of the "solvent power" of a petroleum product. 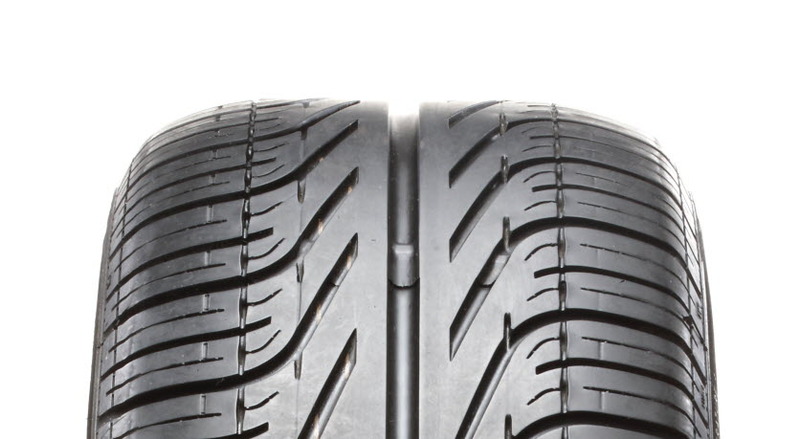 It is a standard method issued by both ASTM and ISO. For instance, in lubrication applications the oil used has to display great solvent power to keep additives dissolved. On the other hand, the deterioration of rubber seals is an example of how a plasticizing oil with too much solvent power can cause problems. "The aniline point is used as a standard method, but the toxicity of aniline is a growing concern. 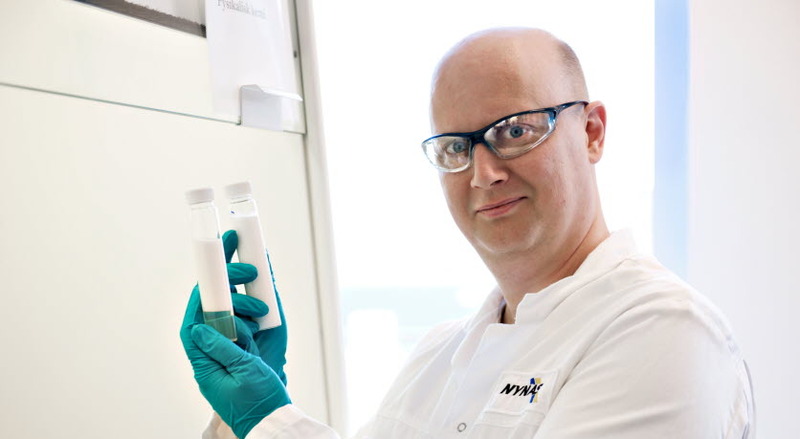 We started looking for an alternative and found a very strong candidate in p-anisaldehyde," says Pär Wedin, PhD, Naphthenic Oils Researcher at Nynas. Unlike Aniline, p-anisaldehyde is not currently registered with the European Chemicals Agency (ECHA) as a classified chemical, and there is no indication it would be so in the future. However, in Wedin's experiments, p-anisaldehyde displayed results very similar to those of aniline. As a non-toxic replacement for aniline in standard analysis tests, p-anisaldehyde looks very promising indeed. "Using several different oils, we found that the turbidity point of p-anisaldehyde correlates well to the aniline point, and as the magnitudes of the respective points or temperatures are very similar, we believe that p-anisaldehyde is well placed to replace or complement aniline in the aniline point analysis," explains Wedin. His findings have sparked interest at the Swedish Standards Institute (SIS) as well as at the international standardisation body ISO, where the potential for using p-anisaldehyde instead of aniline in current or new standards will be investigated further. "However, changing standards is a very long and arduous process," says Wedin. The original article "Correlation between the Turbidity Temperature of p-Anisaldehyde in Mineral Oil and the Aniline Point" can be downloaded from Industrial & Engineering Chemistry Research via the following link. The aniline point is the temperature at which a mixture of equal volumes of a hydrocarbon liquid and aniline becomes turbid after first being heated until miscible. Pär Wedin calls the equivalent temperature for p-anisaldehyde the turbidity temperature or turbidity point. 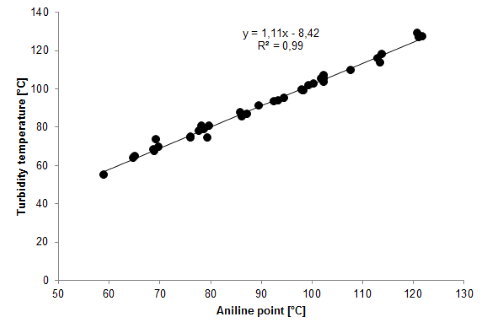 Experiments performed using several different oils, both naphthenic and paraffinic, demonstrate a very strong correlation between the aniline point and the turbidity temperature, or turbidity point, of p-anisaldehyde. As the figure shows, the correlation displays a linear behaviour with very little scatter, and a simple conversion factor can be used to convert one point into the other one.